Australian instant infrastructure company Global Road Technology (GRT) today announced it has aligned with international engineering firm SMEC to deliver GRT’s pipeline of $500 million in global road work projects. Under the new partnership, SMEC will provide specialist support to assist GRT to deliver its rapidly expanding suite of instant road contracts to world-leading quality standards. GRT’s growth has seen it write more than $500 million worth in business in 2014, with projects underway in Australia, Indonesia, India, Brazil and the United States. GRT Chief Financial Officer Herman Allison said GRT’s road stabilization and dust control products enable it to make instant roads far quicker and cost-effectively than conventional road-building methods. 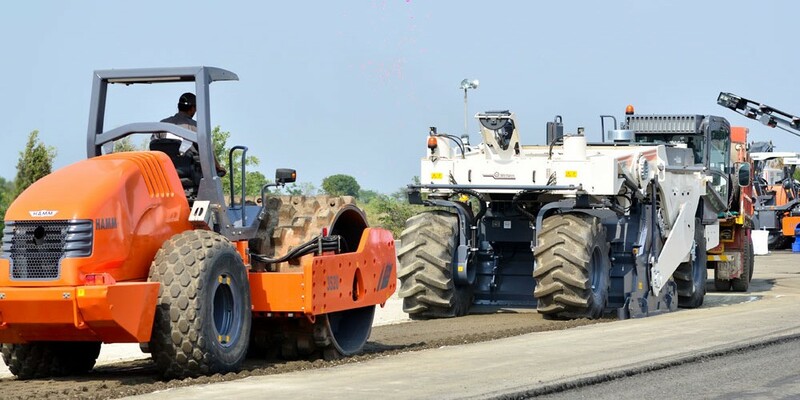 He said the Queensland-based business has expanded rapidly in Australia and internationally with its instant road applications providing quick, affordable and environmentally friendly solutions for heavy industry, military and public transport purposes. “We have made a strategic decision to work with SMEC based on SMEC’s international reach and experience delivering large-scale infrastructure contracts,” Mr Allison said. “SMEC has an international reputation for providing industry-leading consultancy services on major infrastructure projects. Mr Allison said the partnership arose after SMEC was contracted by Deloitte to supply critical costing for a recent independent cost benefit analysis study carried out on GRT. SMEC confirmed to the Deloitte cost benefit analysis that GRT’s products and road maintenance software program offered significant savings over conventional road construction methods. SMEC subsequently approached GRT, attracted to the value provided by the company as well as GRT’s high growth. “SMEC is ideally placed to provide GRT a range of road building support services drawn from our workforce of highly skilled engineering and construction professionals”.